When the Arab spring took place, earlier this year, it was because millions of ordinary people had finally grown tired of dictators plundering their national resource and ruling over their lives. It was an ideological uprising to create fairer societies across the Middle East and North Africa. When the Greek people took to the streets this year, it was over a sense of outrage at the mismanagement of their national economy – the government forcing austerity measures on working people that resulted in enormous job losses and pay cuts for public workers. When the Metropolitan police shot Mark Duggan dead last week without him being in a position to attack them with a firearm (all the facts are still to come out in the inquiry, but it appears he posed no threat), they made a grave error. It led to protests from the family and then the local community – ending up in the localised rioting in Tottenham. There has not been any rioting in London for a long time. Sure, there were a lot of student protests recently – one resulting in a jail term for the son of a rock star – and some anti-war protests like the big march in 2003, but nothing like this. The nearest I can remember to this was the 1990 poll tax rioting and even that was concentrated around a single area rather than spreading across the whole of London, like we have seen this week. It seems just something burst in the collective consciousness of the criminal underclass this week. Seeing the riots in Tottenham galvanised a sense of injustice – especially against the police – and soon riots were taking place all over the capital, though they were particularly nasty in Hackney, Croydon, and Ealing. Being a resident of Ealing until recently, all I could do was sit here in São Paulo watching the BBC news live updates and following the discussion on Twitter. Watching Ealing go up in flames without being there to actively do something was a very strange – and emotional – experience. Of course, there is not much I could personally have done if I was there – what does anyone do if thugs are rampaging down the street setting cars on fire? But, I could see people I know from the local community – including many councillors and the council leader – getting messages online, warning of trouble, calling the fire brigade… actively helping their neighbours. The tragic thing about this violence is that it has no objective, it’s just the violent outrage of frustration. If these kids really wanted to change the way companies like McDonald’s operate then getting the staff into a union or campaigning for fair wages and conditions would lead to a better outcome for everyone – rather than just bashing in the window of every branch they see. And by looting, any sense of outrage or protest has been destroyed. London has been taken over by thugs who don’t even have a political message. Some are claiming it’s because of youth club cuts and youth unemployment. Nonsense – it’s just the criminal destruction of property by those who don’t even understand what they want or why. At least the class warriors of the left, who used to cause trouble for business owners, had some form of objective – even if it was as simply stated as ‘smashing capitalism’ (even though the smashers were often educated property-owners). The threat of Irish nationalist terrorism that only ceased recently, and also caused chaos in Ealing in the past decade, was also more understandable. There was a political debate to be had, even if it was always impossible to debate issues when one side used bombs. But these riots are meaningless. They have no objective or planned outcome. And perhaps this is the most dangerous thing of all for a government that is now implementing possibly the largest ever cut-back in public sector jobs. If the disaffected youth think they have it bad right now, then just wait for another year… our trading partners in Europe are struggling and hundreds of thousands of public sector jobs are about to vanish. I am visiting Ealing soon – later this month. And I had arranged a large local community event that will be on September 1st. I hope many more local residents come along to it now than were going to before these terrible riots – there will be many of those local councillors who were doing such a great job at the event, and at least one of the local MPs. 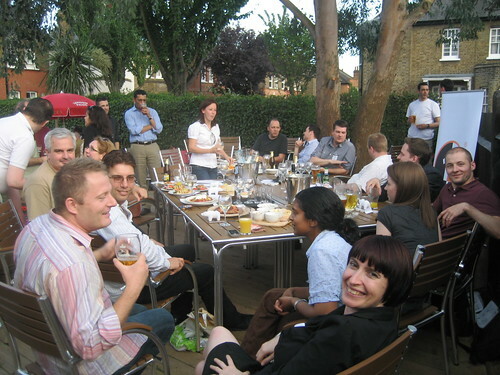 The tweetup may in some ways just be about having a pint and listening to some great live music, but since I started arranging these nights in early 2009, I met many local people and found new friends in my local community. Ealing needs the local community right now and if social media is going to take some of the blame for helping rioters to focus on new targets then it should also be used to bring the community closer together. 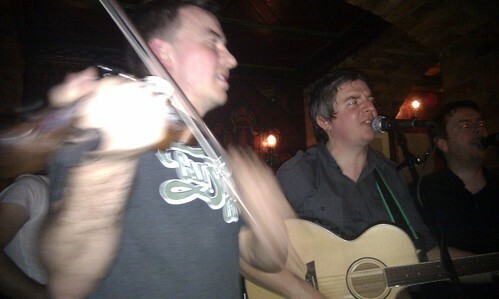 Remember the old Fleadh festival in London? Well, these days it’s the Feis – the biggest festival featuring Irish and international acts with a Celtic flavour. Promoter Vince Power has put together a line-up that includes Van Morrison, Bob Dylan, The Cranberries, Christy Moore, Hothouse Flowers, and The Undertones… the line-up looks great. And there is space for another act, but it’s being decided on by social media. The Supajam system features a load of acts who want to be on stage with Van and Bob, but I’d like to ask you – my friends – to go and offer some support to The Biblecode Sundays. All you need to do is to add a comment of support, or vote on the songs they have uploaded – just a click or quick comment is enough to help them get the gig. 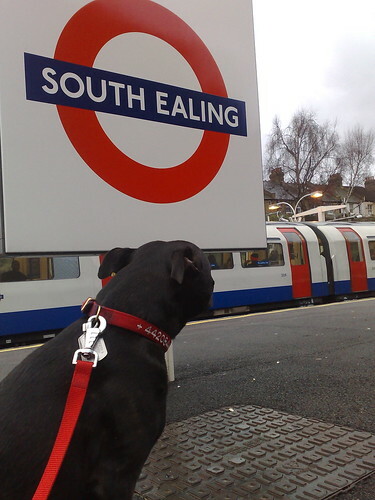 Ealing Tweetup has a supporter! 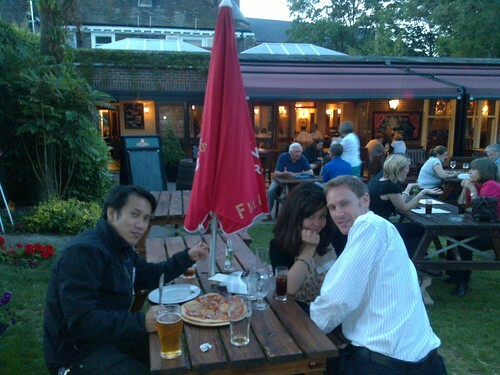 The green power management people with an office in Ealing, 1e, have agreed to support the next Ealing Tweetup on February 15th…! 1e supported the recent launch of Angelica Mari’s new book in London. Just take a look at the images here to see how much fun that party was – and the great thing is that the same band who played at the book launch will be at the next Tweetup. Yes, it’s the Biblecode Sundays playing live in Ealing on February 15th… check out this link for more information and to sign up for your place…! In my last blog post I listed a few places I will be over my last couple of weeks in the UK before I leave to go and live in Brazil. I had such a great birthday at the weekend. It started off by seeing Stephen Fry on Thursday evening at the Royal Albert Hall… though I prefer him on TV to this live show on stage. The endless chat about his memoirs felt quite forced in front of a theatre of 5,000 people. But then I stayed at the Hilton Tower Bridge that evening and spent a day as a tourist on Friday – saw The Town at the Vue Leicester Square and War Horse at the New London theatre. 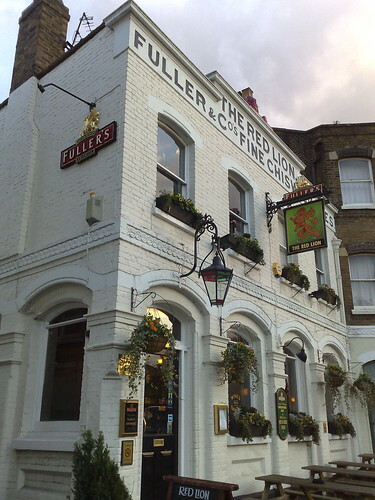 Then on Saturday I had a karting race near Heathrow with mates in the afternoon and a great evening at the Rose and Crown, Ealing, where the Biblecode Sundays were playing… and about 50 friends all taking over a big section of the pub! It was really special and something I won’t forget. Thank you to everyone who gave me gifts – I have not managed to respond personally to everyone, though I have been trying to on Facebook. Oh, and Chippy – I guess the Billy Bragg T-shirt was from you! No name on the wrapping paper, but who else would buy me a ‘Milkman of Human Kindness’ T-shirt? 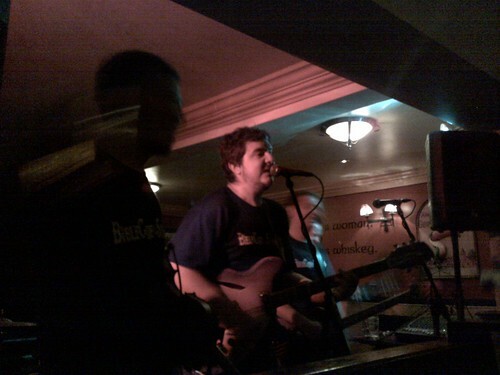 London Irish super-group Biblecode Sundays are playing Ealing this weekend with a small gig on Saturday night at the Rose & Crown pub. 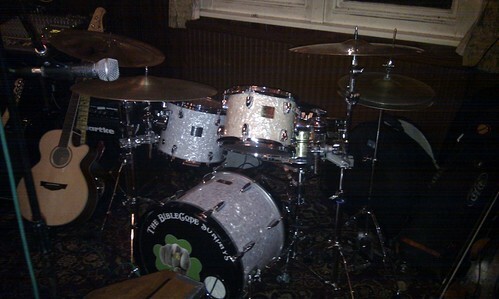 It’s an unusual venue for a band that headlined the Shepherd’s Bush Empire shindig on St Patrick’s Day earlier this year, but one the band is looking forward to – and it’s free for punters visiting the pub. The band is a true mix of the great and good, with music in their blood from birth. Lead singer Ronan MacManus is the son of Ross MacManus, who achieved fame with the Joe Loss orchestra. He is also the brother of Declan, better known as Elvis Costello. Andy Nolan on accordion played with Shane MacGowan and the Popes. Drummer Carlton Hunt is from ska outfit Bad Manners, and bass player, Enda Mulloy, is the son of Tom Mulloy of the legendary Mulloy brothers. Their best-known song ‘Maybe it’s because I’m an Irish Londoner’ name-checks many of the areas around Ealing and the Uxbridge road, so it’s a return to home turf for the west London five-piece. That song soared up the charts back in March as St Patrick’s day revellers attempted to purchase enough copies online to get the Biblecodes to number one. They were defeated by Ellie Goulding fans, but still managed to make a dent on the national singles chart with a song about the Irish community in west London. 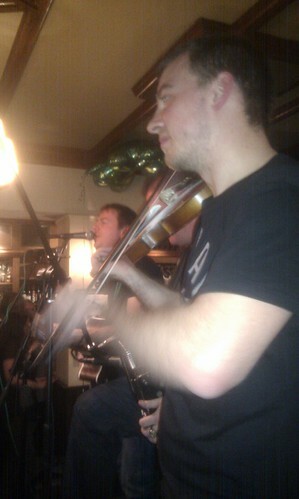 Band on stage at 8.30pm, curfew 11pm, bar closes at midnight. 1e did a great job sponsoring the event and I hope they found it useful to meet such a diverse bunch of local bloggers and twitter users – I was particularly pleased to finally have a chat with Ealing deputy mayor, Rupa Huq, after endless chats on the Facebook wall or messaging system. But it was nice to see so many people who have now become regulars at this event. I feel I have started a snowball rolling and I hope this continues – I think I invited quite a few people from the tweetup to my birthday party in September, but the Fuller’s effect means I can’t remember who I invited! It’s nice to see how the virtual network of Twitter actually leads to real connections in real life.